The Red Sox have only made one move so far this off season. 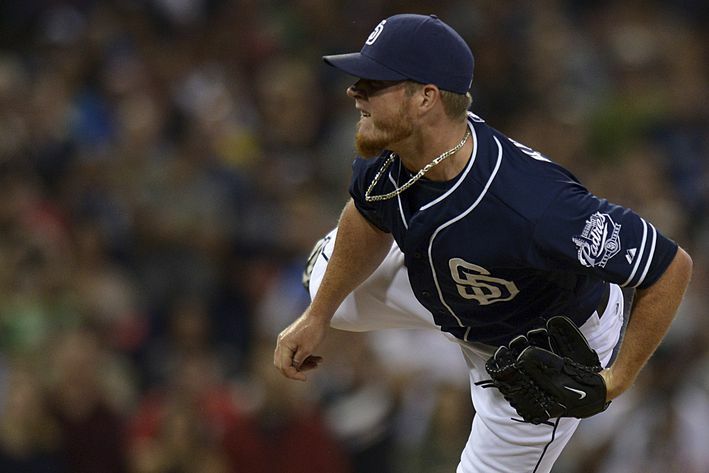 That would be the trade for Padres and Braves closer Craig Kimbrell. He is exactly what they needed in the bull pen. He came “cheaper” than Chapman, in terms of players going in the other direction, and will belong to the Red Sox for more than one season (Chapman will be free agent after the 2016 season). He was pricey in that they lost 4 lower level prospects with tons of upside. Potential is not always realized, however. There have been plenty of prospects that don’t pan out like everyone hoped. This is not the dealing away of Jeff Bagwell for a rental who doesn’t even get you into the playoffs. But he didn’t cost them their best and most electrifying prospects: Moncada, Devers, and Benintendi. Or the guys read;y to make the jump to the big leagues: Owens, and Johnson. The Kimbrell trade gives you an elite closer who throws high 90’s heat. The coveted power arm at the back end of the bullpen. This takes the pressure off of Koji, who has struggled with injuries the last 2 seasons and is 40 years old. 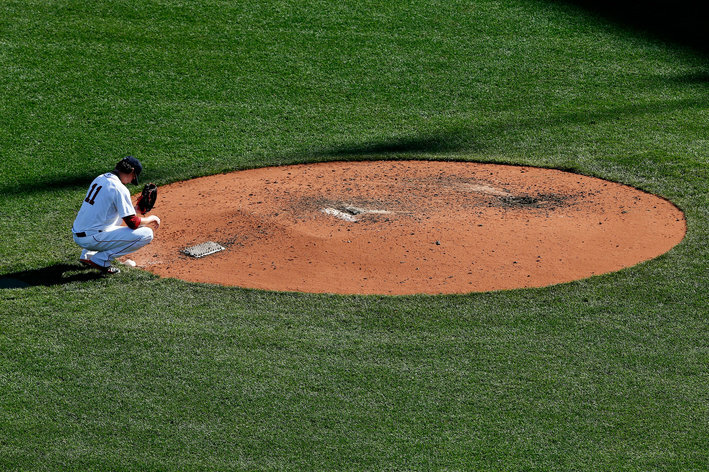 Koji doesn’t need to close, and can provide protection as well as a dependable guy to pitch in the 8th. This creates bullpen depth they sorely lacked last year. Tazawa is pushed to the 7th. This also means that Joe Kelly remains in the rotation. He showed great improvement after returning from the DL. If he can be THAT guy, the rotation will be much better and save the bullpen unlike last year. The lousy starts by Kelly and Porcello, and occasionally Miley, devastated the bullpen. The main question is who will the Red Sox sign to be the ace. Finishing in last the previous 2 seasons sent a strong message to John Henry about the need for an ace ASAP. E Rod may be an ace one day. Maybe. Or he could be the 2nd coming of Felix Doubrant whom we thought would be the 2nd coming of Jon Lester by finally figuring a few things out so he could go deep in game. Nope. Felix was not in the majors last I knew. He just got worse. Clay has ace caliber stuff, but can’t stay healthy. I pity the fool who relies on Buchholz Available aces tend to be older, unless you want to pay the king’s ransom for them. It worked for Pedro. But most young guys like Grey are not available, or their teams are greedy. A few are untouchable, only a few. But guys like Owens and Johnson and Shaw won’t get a trade done. Besides Shaw may end up playing first in 2017, and will back up the increasingly fragile Hanley Ramirez as he takes over first base (crossing fingers). Dombrowski indicates that they will most likely get that #1 starter in free agency. This leaves us to consider Price, Cueto, Greinke and Jordan Zimmerman. These are the guys, and even Zimmerman is borderline as the #3 pitcher on the Nationals. He also had a lousy free agent year. Health, pressure, lack of confidence? I’m not sure I want to spend ace money on Zimmerman. Or give him ace responsibilities. With Porcello at $20 million they could quickly have an over-priced and under-performing rotation. As Owens and Johnson develop and prove they can perform in the big leagues, they can force the Red Sox to trade Miley (he’s on a good contract and is probably the most tradable of Porcello, Kelly and Miley). So, we are down to Price, Cueto and Greinke. The first 2 were traded during the season, so they were not eligible for qualifying offers. This means that only Greinke will cost them a draft pick. A 12th pick, kind of draft pick. This is a high price. However, it may be worth paying. Greinke has dealt with his social anxiety issues. He is a thinking man’s pitcher. He is big on advanced analytics, and got Bannister, now a Red Sox employee, into them while they both pitched for Kansas City. The connection with Bannister may be important. Not being a a power pitcher may mean that Zach is able to dominate longer, much lack Maddox. He may be the best value over the life of the his contract. He has pitched in the AL, obviously, though it has been awhile. He has seemed to resolve his post season issues. All the “experts” and GMs believe that the Red Sox will sign Price. Earlier they all though he’d head to the Cubs to be reunited with Maddon rather than pursue a reunion with Dombrowski. I’m sure he could play with Ortiz for a season, but I’m not sure he wants to play for Red Sox fans who have been a bit hard on him. While his post season record is pretty lousy, that doesn’t mean he hasn’t pitched well. His WHIP is slightly higher, which doesn’t quite explain the significantly higher ERA. Oh, the joys of a smaller sample size and the vagaries of post season play. He has pitched most of his career in the AL East when it was one of the best divisions in baseball. He can pitch in the division. Price is more of a power pitcher, which means that unless he’s Nolan Ryan, he will not live up to the last years of what looks to be a huge contract. He is likely to be the guy John Henry fears or feared. Cueto has that Luis Tiant odd delivery thing going for him. What he doesn’t seem to have going for him is a bum elbow. There are some serious questions about that elbow. He does seem to be a good leader, talking pitching with other starters on the bench during games. He’s the alpha dog type you want. He may be cheaper due to the question about the elbow. You could try the John Lackey maneuver with him- add a year at league minimum if he has surgery on that arm. I am glad I’m not Dumbrowski, and I don’t have to make that choice, and live with the consequences. Update: Zimmerman signed with the Tigers for about $22 million a year for 5 years. The D’Backs are pushing hard for Cueto. 2014 didn’t go well for the Red Sox. After going from last to first, and the World Series where they beat the Cardinals, they returned to last place. There were a number of issues. Lester and Lackey were solid, but the rest of the rotation pretty much stunk. 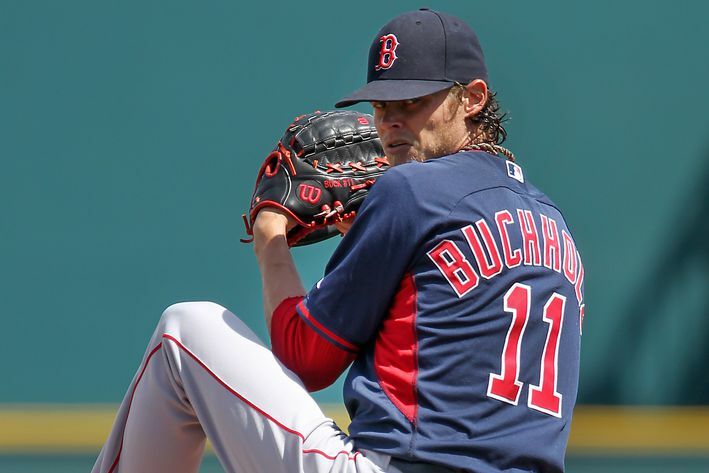 Buchholz was still trying to fix the bad mechanics he picked up when he was hurt in the latter part of 2013. Eventually they gave up on Jake Peavy’s streak of futility and Doubrant’s inability to do just about anything. Their attempts to replace Ellsbury failed. 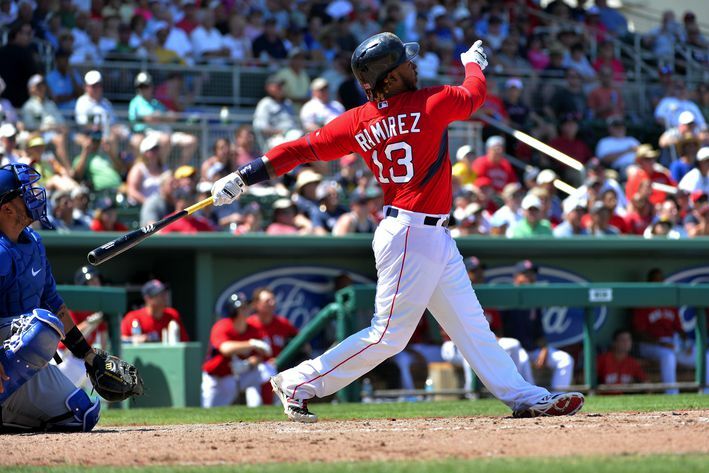 Sizemore couldn’t maintain his hot spring, and Jackie Bradley Jr. couldn’t hit- period. With Victorino on the DL much of the year this resulted in a horribly under-producing outfield for the first half of the season. Relying on Jonny Gomes full-time isn’t a good idea. Their infield plan of Bogaerts and Middlebrooks just didn’t work as Xander pressed after the Red Sox brought Stephen Drew back when Middlebrooks got hurt- again. Napoli was never the same after an injury, and A.J. was a cancer behind the plate. The rebuild started mid-season as they traded or cut every starter but Buchholz and traded Gomes away. They took a chance on Allen Craig’s track record, hoping 2014 was an injury-induce aberration. They signed Rusney Castillo for the future. Out of desperation they put Mookie Betts in the outfield where he flourished on his third call up. In the off season they got the Panda for third, making the perpetually injured Will Middlebrooks unnecessary. They also picked up Hanley Ramirez to play outfield and added Wade Miley, Rick Porcello and Justin Masterson to Clay and Joe Kelly to replace the under-performing Webster, De La Rosa and Ranaudo. So … they entered Spring Training with a glut of outfielders: Betts, Ramirez, Castillo, Nava, Craig, Bradley and the surgically-repaired Victorino. They also didn’t have a clear cut ace, and a suspect bullpen. They left Spring Training with projected starting catcher Christian Vazquez in need of Tommy John surgery, their closer Koji Uehara and Joe Kelly on the DL. The excess in the outfield has Castillo and Bradley in AAA at least until there is an injury to either Victorino or Ramirez, or a trade of either Craig or Victorino. Did you get all that? Much is made about a $72 million dollar player being in AAA. Well, that is over 6 years so $12 million average, just over $10 million this year. Victorino is making $13 million. So the money is not the issue here. Particularly when we realize Betts played his way into center. Castillo is in the big leagues long term. Next year at the very latest, but most likely earlier particularly if Victorino struggles, gets hurt or traded. Victorino has lots of rust and injury echo to shake off. He is historically not very concerned about spring training. Let’s see if Shane can show up and play every night. Unfortunately the only guys with options were Castillo, Betts and Bradley. They want to go from last to first again. It might happen, largely because of the offense. This could be a devastating offense. Off-season surgery may have enabled Pedroia to return to being the Destroya, and Napoli to stay awake by actually sleeping at night. Napoli has been killing the ball. 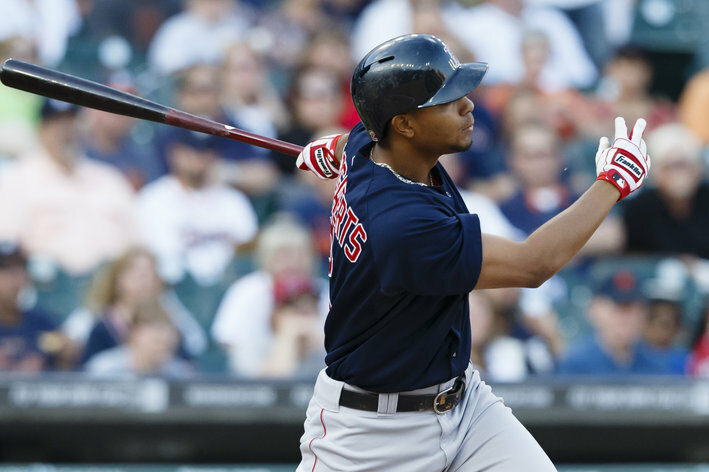 Betts has been getting on base and while not as dangerous as the Tiger’s line up it should be a gigantic improvement over last year’s anemic offense. Fortunately they are in a division with a bunch of flawed teams. They have a chance to take the division. But there is also a good chance they won’t. This is like a return to the old Red Sox formula: all hitting and decent pitching. It may get them to the playoffs, but I don’t think it will get them a World Series. The good news for them is that Bogaerts, Betts, Castillo and the Panda will be around for awhile. Next winter they can get some of the elite pitchers who look to be heading into free agency. Or bring up some of their top pitching prospects. They have moved in the right direction, but probably not far enough (yet) to add another title. With the 2014 Red Sox still under .500, the Boston sports media has a new hobby. They keep talking about who should get traded from these Red Sox since, they think, this team’s season is over. I can understand some of the push to trade players come July. I am in favor of that if they aren’t in the race. It would potentially give some of the younger players time to get used to life in the Big Leagues. My problem is the guys they think we should trade. I hear about Lester, Lackey and Uehara. These guys make the least sense when you are talking about trades. Why? There is no one in the system who can replace them. 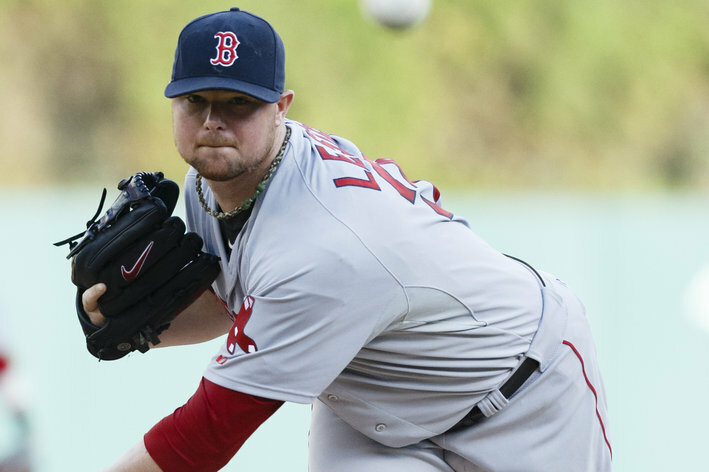 Jon Lester is a home-grown guy. Apart from his battle with cancer years ago he has been healthy as the workhorse he is. He is a known commodity who gives you 200+ innings every year and most of the time has a sub-.400 ERA. He has proven post-season dominance. Proven in the harsh environment of Boston with the media and demanding fans. Unlike Kirk Minihane, no one knows if Lester is leaving our not after this season. He likes it here. The Red Sox did seem to make a tactical error with a low offer. They do want to continue discussions. I can understand why they didn’t open the money bags for Ellsbury, but he’s not Ellsbury. Jacoby was often hurt and Jon hasn’t been hurt. They had a comparable player in the minors ready to take his place, and the hitting should eventually get there as it has at every other level along the way. But while there are some MLB worthy pitchers in the system, it is doubtful they will be as dominant as Lester in the next 5 years. They should pay him. They can’t control if he chases the money, and would get a compensatory pick. But trading him, unless you get a similar pitcher is crazy. And that pitcher has to fit in Boston. Scherzer is available this off season. But he finally pitched a complete game, and while in a good baseball city hasn’t had to pitch in Boston for a whole season. In other words, he is far more of a gamble than Lester’s health! Lackey is also a top of rotation pitcher. He has no immediate replacement in the system. You don’t need replacements for Ortiz, Napoli, Pedroia, Bogaerts or Bradley. Nava has regained his swing and should produce again (is producing again). So what do you get, and is that worth trading a 1/2 starter? Not in my book. I can’t find the article advocating a trade for Koji, at the peak of his value. Who closes for you? That’s all I ask? Miller and Tazawa have not proven capable of closing when they have had the opportunity. Does anyone remember how hard it was to get a closer after Papelbon left? Yes, he’s at high value right now. So … you have to replace him. These are players who make up your core moving forward. They are not your problem, and can’t fix your problem. Trading them creates a new problem. In other words, such a trade normally makes a “big splash” (which the media likes) but tends to keep a team non-competitive. You just have new problems. Most projections I’ve read for guys like Owens, Webster, Ranaudo etc. have been 3/4 in the rotation. Not aces. Hopefully we’ll be pleasantly surprised. Trades at this point for the Red Sox seem to be more about enabling the future to happen than re-stocking. You want to get rid of guys who open the door for people young pitchers or catchers. The guys you trade are people like Peavy or AJ. They won’t get you a treasure trove of prospects or MLB players, but to a desperate contender you will get more than what they are worth. They allow you to bring up (or keep up) Workman, Vazquez etc. You also have time to wait for Betts and Cecchini (or Middlebrooks). Media guys don’t have the best interest of the team in mind. Often fans don’t either. Let’s leave it to the professionals to figure all that out. Many Boston Red Sox fans, self included, are still on a World Series championship high. It was an off-season that had a bit of drama as Jacoby Ellsbury left to don pinstripes, Jerrod Saltalamacchia went home to the Marlins, and Stephen Drew entered the nether world after turning down the Red Sox’ qualifying offer. They retained Mike Napoli, took a flyer on Grady Sizemore and signed some more arms for the bullpen. Spring Training itself was relatively quiet. Ryan Dempster, for whom they overpaid in the previous off season, decided to sit out the season with a variety of injuries and a desire to spend more time with family. It was a bit of a shock that solved one of the Red Sox’ “problems” since they had 6 pro level starters. We should have seen the Big Papi drama coming. He craves security, as well as the spotlight. They ended up signing him to an extension that should result in Ortiz retiring as a member of the Red Sox. I have no problem with the deal since he is still one of the best hitters in the big leagues. The option years have benchmarks that should mean they don’t end up in a Yankee’s like situation of paying a nearly useless player lots of money. 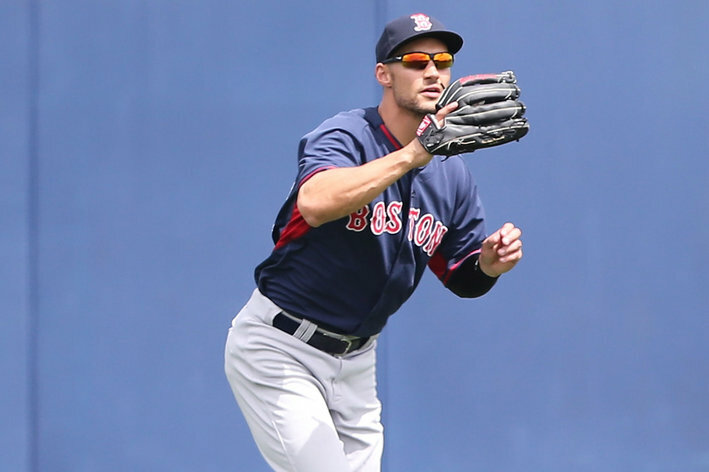 The other storyline of importance (Peavy’s injury wasn’t much of a distraction when it was all said and done) was about who would play centerfield: Bradley or Sizemore. This was prompted by Sizemore’s amazing return to health and a level of play reminiscent of his days as an All-Star for the Indians. Bradley’s offensive struggles didn’t help his cause. Proving that he can play 4 days in a row, at a high level, sealed the deal and Sizemore has been named the opening day centerfielder. In the last 2 seasons the Boston Red Sox have not lived up to expectations. Before the 2011 season some proclaimed the “best team in baseball”. They certainly had talent, but winning baseball games is about more than having talent. The 2011 and 2012 seasons were painful lessons illustrating this. Heading into the current season, most analysts and fans were down on the Red Sox. 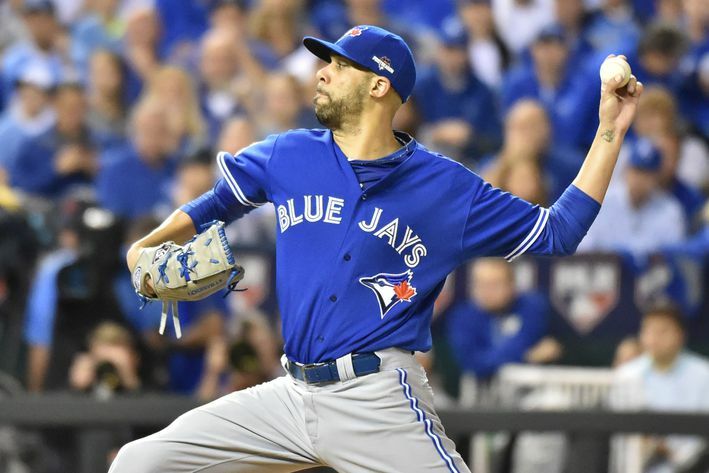 They looked at the Blue Jays’ acquisitions (forgetting the lessons they should have learned from the ’11 Sox and ’12 Angels) and anticipated the Rays and O’s to continue to play well thereby giving the Red Sox a snowball’s chance in Hades. I, and a few others, were not so negative. I saw a number of positive things- particularly a return to the plate approach that had made them successful in the past. Others talked about how they wouldn’t score runs. I begged to differ. So far I am right. They have one of the most productive offenses in baseball. What is amazing is that this has happened without Middlebrooks being a middle of the line up bat. Or even productive. Or even in the majors. Big Papi has picked up where he left off with a new plate approach gained from conversations with A-Gon(e). There was a tangible benefit from that trade for Alex Gonzalez: the new and improved David Ortiz. He has simply been great the last 2 seasons. When on the field. This was a major concern after missing the last third of ’12 and all of Spring Training. But he has not had any problems with the foot. He has even stolen bases. This is a great sign. Napoli started the season like a man on a mission. But it is a season, not a month. He struggled in June. As July has come on he has pulled out of his slump and shown a resurgence of power. He still strikes out more than you’d like but he drives in lots of runs and sees lots of pitches. He has also been more than serviceable in the field. He’s not a Gold Glove candidate but he’s not an error-machine either. With Pedrioa’s steady and often spectacular defense, the Red Sox have had a consistently good right side of the infield. Dustin has been spectacular. He has made so many amazing and crucial plays it is uncanny. While his power numbers have been down, he is still doing his job at the plate. I can’t fathom why he was only 3rd in AL All-Star voting for 2nd. Apparently no one is watching the Destroyer play. When you consider he’s playing with a completely torn ligament in his thumb, it is even more amazing. Petey is just amazing and we need to enjoy the greatness while it remains. By all accounts, most Red Sox fans are supposed to be depressed, disappointed by the free agent signings this winter. Count me as one of the minority. I did not want them do what they had in the past, and the Punto trade freed them from: long term deals. That deal gave them 2 young pitchers for the future. They have a few prospects, particularly in the outfield that are going to be ready soon. Locking up Hamilton and another outfielder just didn’t make sense to me. One thing I noticed is that they addressed one of the issues that plagued them last season. They signed players who have a solid approach at the plate, work the count and get walks (here is a great article about plate approach). This slipped away from them last season. It allows them to wear down pitchers, allow other guys to get a good look at a pitcher’s stuff increase the odds of getting a pitch you can drive. The guys they signed also have swings suited for the confines of Fenway Park. Last year, their offense didn’t dominate at home. They seem to have fixed that too. Napoli, despite his hip condition, has hit the ball well. Yes, it is only Spring Training (just insert this often). And he has defended well. This is a good sign. Defense matters too! While I don’t expect him to win a gold glove, it looks like he’ll at least be adequate. The same can’t really be said for Johnny Gomes in left field. It gets ugly out there. Hopefully his offense will make up for it. He seems a better candidate to fill in at DH when Big Papi is on the DL, which will happen to start the season but hopefully won’t start a trend. Gomes can hit. But he was also part of transforming the club house. Victorino will play solid defense in right (or center if Ellsbury gets hurt, again). But how he’ll hit is still a mystery. They want loose guys and these guys seem to fit that bill. The 2004 Sox had Millar, Damon and Pedro to take the pressure off when the team was struggling. That is what was missing in September 2011. And last year. Drew hasn’t done much thanks to a concussion. There is just something about Drews and Boston. But thankfully Iglesias’ visit to Pedroia this winter paid off in a better approach at the plate. His swing is much better and he’s making more contact and better contact (6 extra base hits so far (3/16)). This may give them the opportunity to trade Drew to the Cards now that Furcal is hurt. Time will tell.